Rose is a girl full of life, love of adventure, and spontaneity. She is compassionate and loving. Abandoned at the stage door of Campion’s Palace of Varieties as a baby, Thomas Campion has raised and loved her as his own child. Rose adores Thomas, but secretly yearns to learn who her mother was and where she came from. But Campion’s is a place ‘full of people with secrets’. All are aware that knowledge is a dangerous thing; that life can be snuffed out quickly when people know or reveal too much. 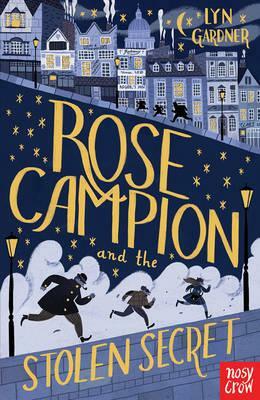 When the generous-hearted Rose allows Effie and Aurora, girls with deep and complex secrets of their own, into her life, there are incredible happenings, and astonishing links are revealed. I loved this book! It is riveting reading; stimulating, exciting and imaginative. There is a strong storyline full of continuous mystery which holds the reader’s interest every second. The excellent characters and the secrets they hold, are wound together tightly with past events that are even more thrilling and macabre than the current events they are experiencing. Stories are linked to sub-stories in a continuous chain of involvement. This brilliant novel shows how our circumstances don’t always reflect who we are, and in order to survive, how frequently life forces us to do things that are against our nature.